It is not necessary to have an Outlook, Live or Hotmail account in order to Create Microsoft Account. 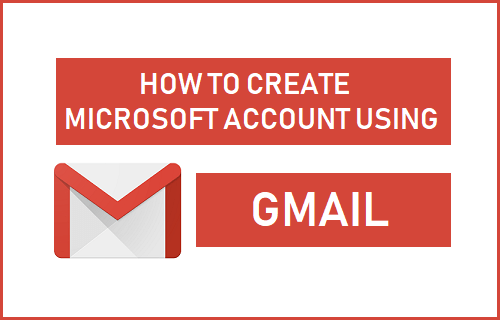 You will find below the steps to Create Microsoft Account using Gmail. Windows being a Microsoft product, most people assume that an Outlook, Hotmail or other Microsoft related Email address is required to create a Microsoft Account. However, Microsoft Account can be created using just about any Email Address. 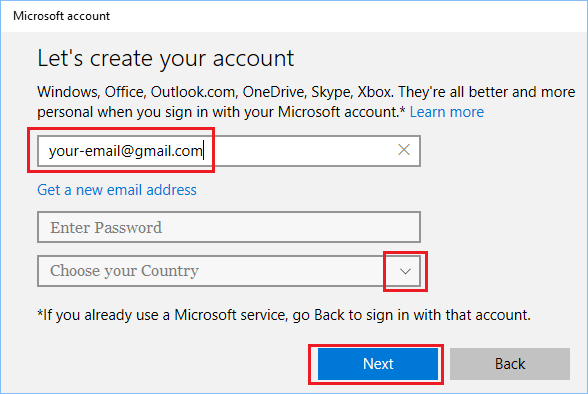 All that is required to create Microsoft Account is a valid Email Address that belongs to you. Using Gmail to create Microsoft Account will provide you with the same privileges as using Outlook, Hotmail or Live.com email accounts. You will be able to login to your computer using Gmail, make purchases and download Apps from the Windows Store. 1. Press the Power Button to start your computer. 2. Simply follow the onscreen instructions to setup your computer, until you arrive at “Sign in with Microsoft” screen. Enter your Gmail address and click on Create Account link. 3. Next, you will be prompted to enter a password. Enter your Password (different from your Gmail Account password) and press the Enter Key on the keyboard of your computer. 4. Follow the next set of instructions to complete the setup of your Windows 10 computer. Once your computer is setup, you will be able to login to the computer and make purchases on Windows store using your Gmail Account. 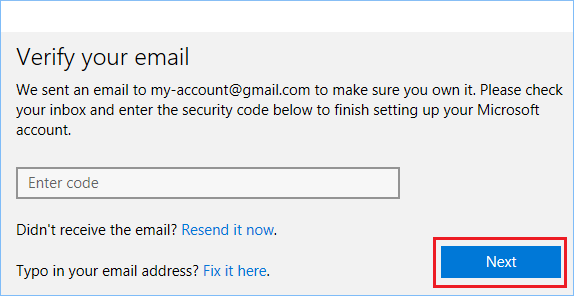 Follow the steps below to create Microsoft Account using Gmail on your existing computer. 1. 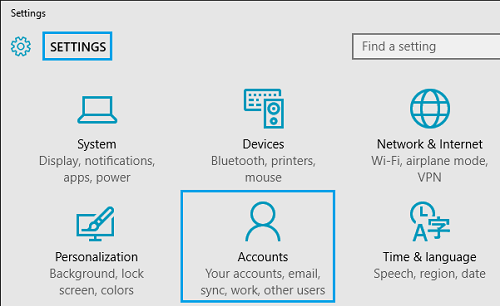 Open Settings and click on the Accounts icon. 2. 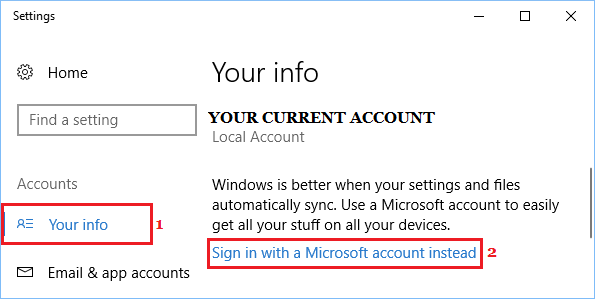 On the Accounts screen, click on Sign in With Microsoft Account Instead Link. 4. On the next screen, enter your Gmail Address, create an 8-digit password (Not your Gmail Password), type your Country and click on the Next button. 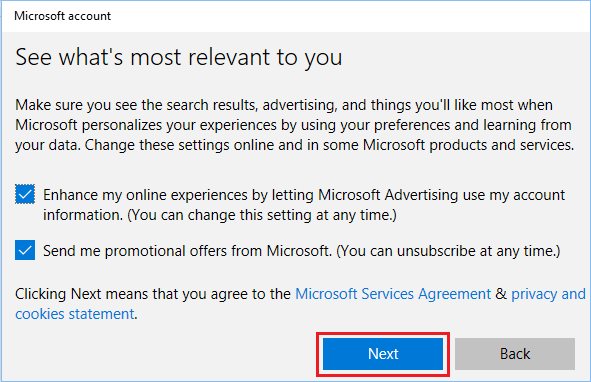 Important: Do not click on “Get a new email address” link, as it will make you sign-up for a new outlook.com email address. 5. On the next screen, check or uncheck options that are relevant to you and click on Next button. 6. On the next screen, enter your Old User Account Password to verify yourself (one last time) and click on Next. In some cases, you may be prompted to verify your Gmail Address by entering a verification code (See image below). 7. 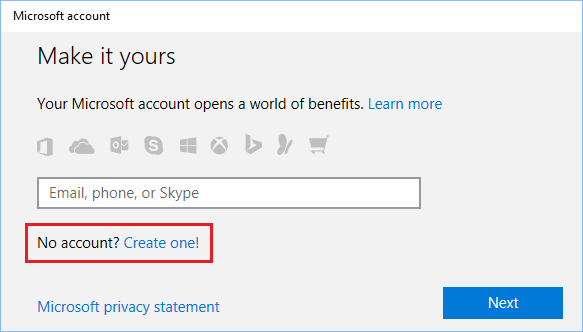 On the “Set up a PIN” screen, click on Skip this step and this will complete the process of creating Microsoft Account using Gmail. 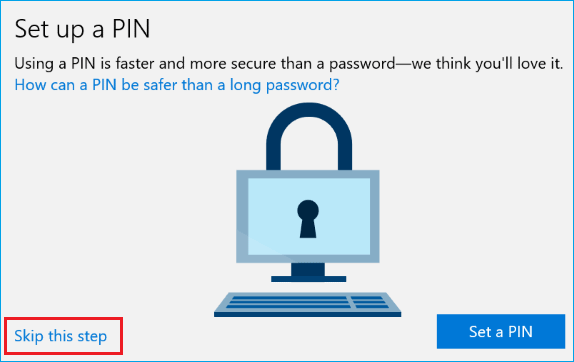 After this, you will be able to sign-in to your computer and download Apps from Windows store using your Gmail Account.